qDoc - How to write doc comments for the qDoc tool, generating Documentation. Database Documenter - Generate HTML describing your database tables. For sqlDashboards see our sqlDashboards Help section. Try double clicking on the jar file. Make sure you have Java installed on your system. Check this by typing java -version into the command terminal. If you don't have java 1.6+, update it before proceeding. 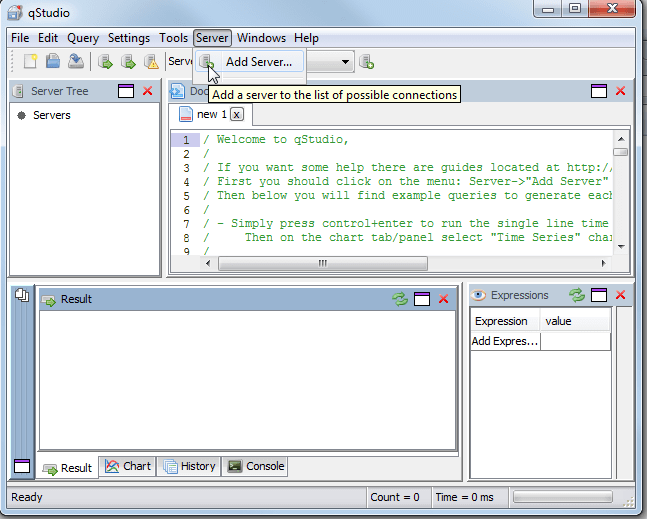 When you first open qStudio it will look like the image below. Click on the menu options Server->Add Server or on the add server button on the toolbar. 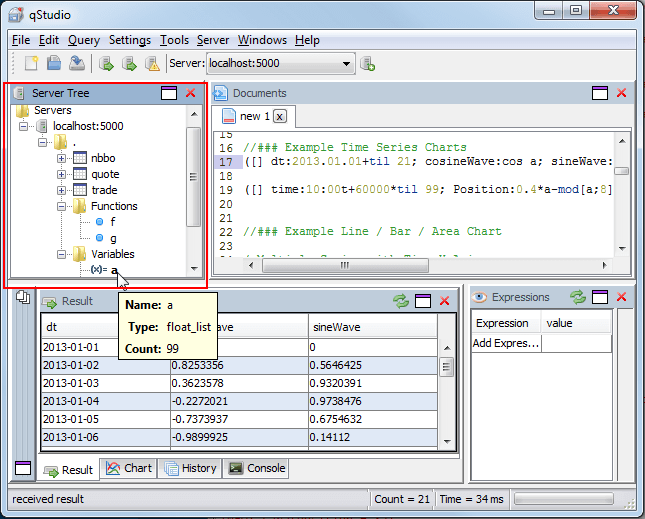 Within the Documents panel click the cursor on the line with q code you want to execute. 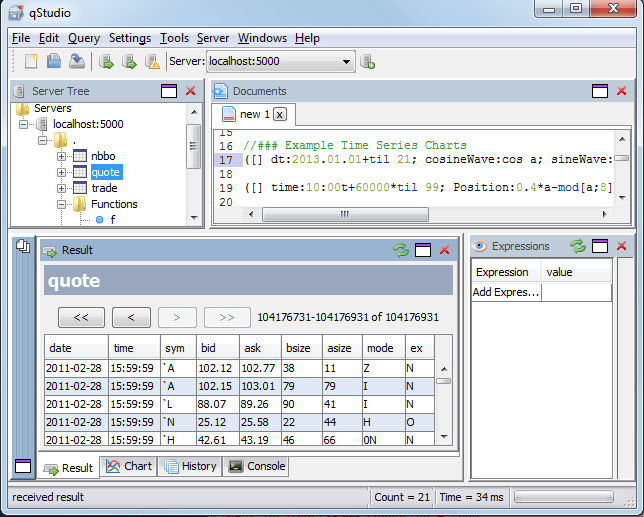 Or particularly useful for multi-line queries, highlight the text you want to execute and press Control+e to execute it. Here you can see that I have sent the highlighted query. 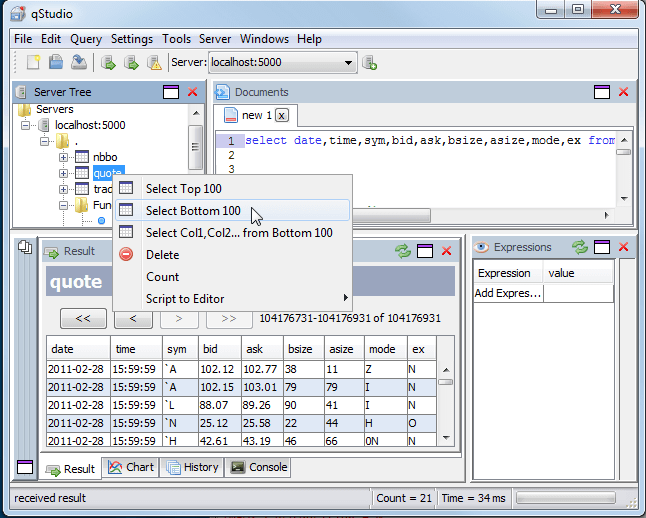 The result panel displays query results in the most appropriate format possible which for this data is as a table. 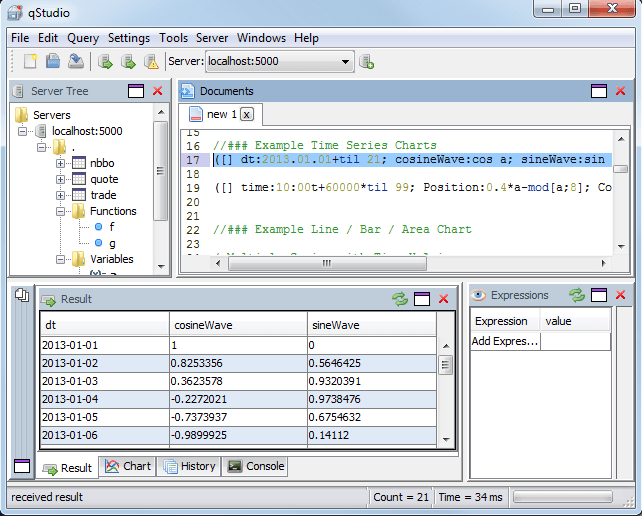 If we click on the chart panel you will see that it has plotted a time series graph. 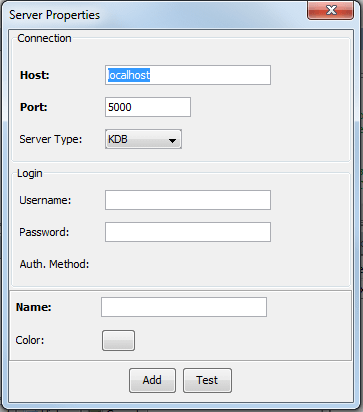 When you added your kdb server the panel labeled Server Tree should have filled with the variables that exist on that server. e.g. You can see that because I hovered it gave me some details about that variable. You can also Click on items to display them in the result panel. Here I have clicked on the quote item and I can page through that table in the result panel. Right click can also be used to bring up actions relevant to that item.